For Easter Sunday this year, my husband requested a fancier Easter dinner so we did the traditional ham, some not so traditional pumpkin rolls and "funeral" or cheesy potatoes depending on where you're from. While I grew up on these potatoes, I've never been a fan of anything crunchy on top. I love just plain old cheese. And since the original recipe isn't the healthiest in the world, I love that this one is healthier and tastes better, too! 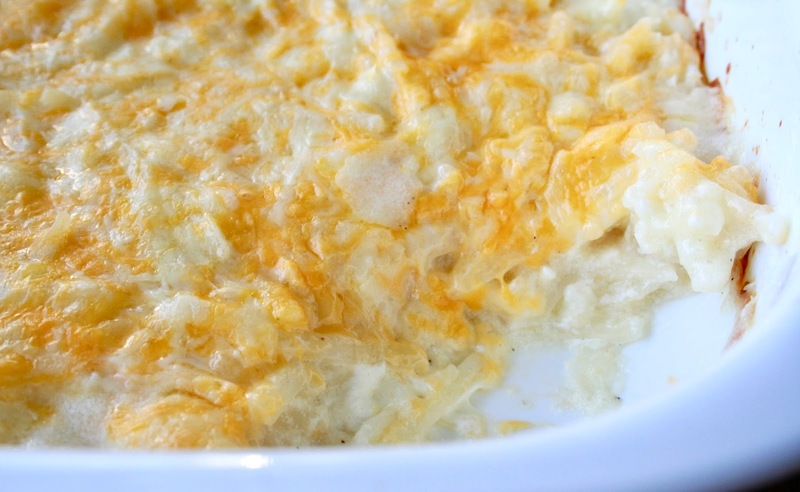 If you're looking for a great side to help feed a crowd then these potatoes are for you! And if you don't need to feed a crowd like me, just half the recipe and bake the potatoes in a 2-qt. baking dish. You'll still have plenty for a family of four or more! 2. Mix all ingredients except for the hashbrowns and colby jack cheese in a large mixing bowl until well combined. 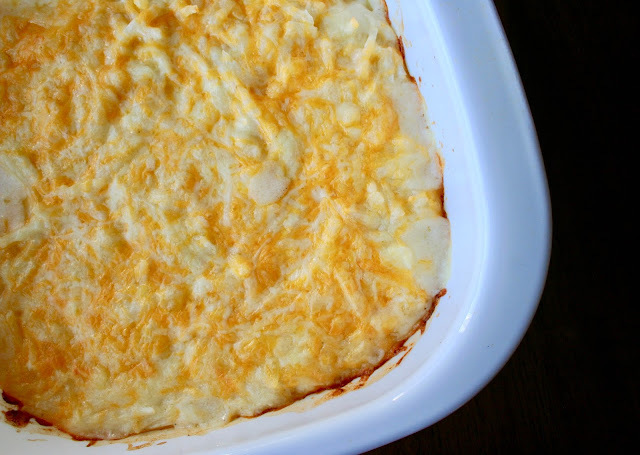 Mix in hashbrowns and pour into a greased 9x13-inch baking dish. Sprinkle with colby jack cheese. 3. 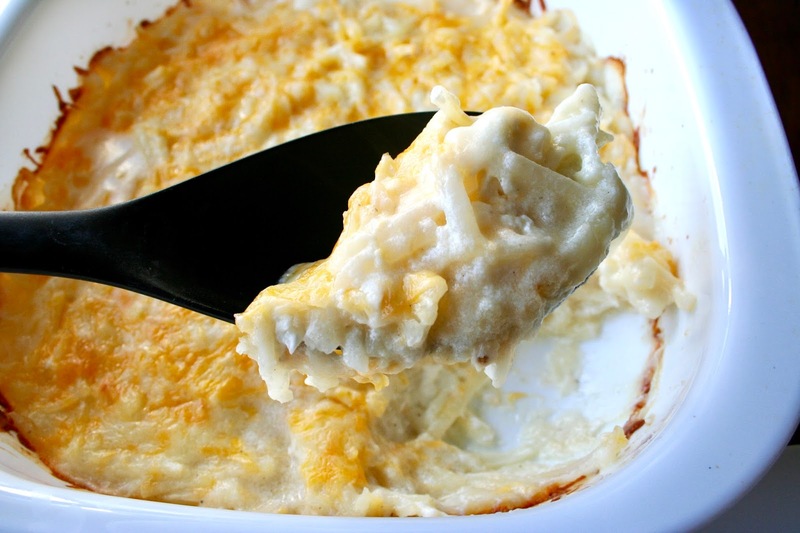 Bake 50-55 minutes until potatoes are tender and cheese is lightly browned on top.